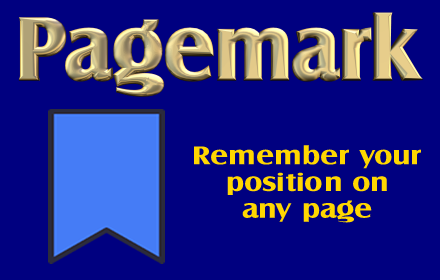 'Pagemark' discussion and bug reporting. This extension allows you to set bookmarks in individual webpages. It is useful for long pages where you want to remember the place you were at last. It can be installed from the Chrome Webstore.